Chiang Mai Thai is one of those restaurants that I really want to like. But, unfortunately don’t. It has the potential to be great, in a good location, ambiance created by the theme, and a busy foodie scene, but it doesn’t measure up. The food just is not very good and either is the service. I haven’t given up on it and I will be back at some point. But, right now I don’t think the cost of the food is worth it. As you can see above they do Pad Thai well. Mine was fairly good and tasted better the next day. What was lacking was everything else. I literally have disliked everything else that I have tried on the menu. I have had salads, several of the fried rice combinations, and the basil fish, all of them not very good. I did get a suggestion to try the Massaman Curry the next time I go there from an employee at the Kitchen Window. I trust her opinion and will be trying this dish. I had by far the worst Spring Roll that I have eaten in a while. Presentation was great with the wrapping of it but, the taste was not good and the wrapper was really hard to bite into. The dipping sauce was off. I think they were trying to do a spin on the normal by adding some mint extract to it. But, it was overpowering and did not compliment the dish. I couldn’t tell if it was a mistake or if it was intentional. The service we had was strange. Our server came to our table only 4 times during the meal but he did a lot of standing around. Many of the servers looked like they had nothing to do and were doing the same. It should have been busy because it was a weekend night during peak hours but, there was no one there. I felt bad for our bored server. 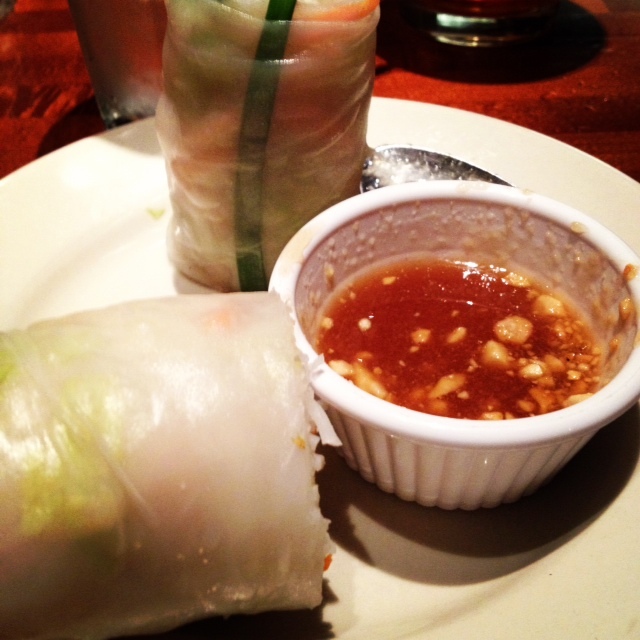 If you are looking for Thai food, I would head to Sam Thai in White Bear Lake. It is half the price and twice as good. If you are looking for ambiance you should go to Chiang Mai Thai. 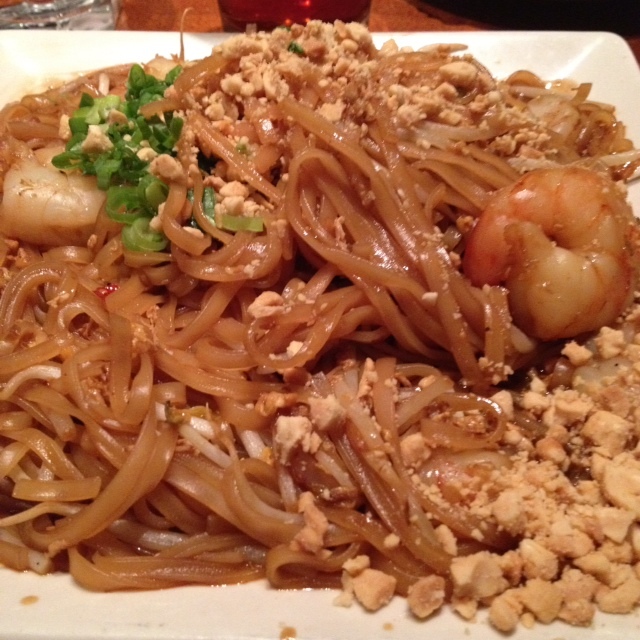 It is really beautiful, order the Pad Thai and that is it. because you may have all the tools just find a new way to use them. I feel like it’s gone downhill or is under new management. I used to really like it but the last few times I have been there it has been less than impressive.